A central location on the web to find information on eating locally grown, sourced, and produced food in the Pittsburgh area. Tips, links, articles, recipes, and methods included. 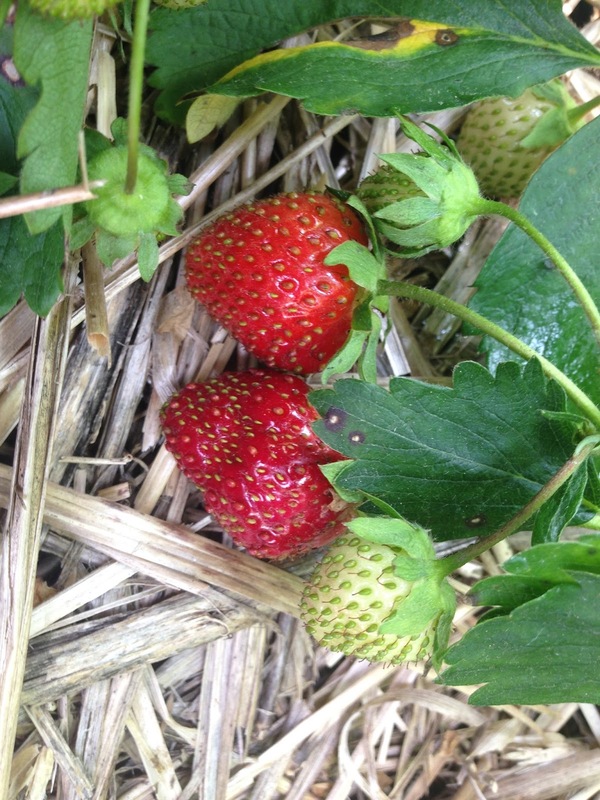 Fresh Western Pennsylvania/ Pittsburgh area strawberries are appearing in all of our neighborhoods, townships, villages, boroughs, etc. right now! I know it’s a little bit early, but do you remember our mild winter? And our sometimes exceedingly hot March and April? If you think those horrible giant, pale, white things you buy at the local supermarket are strawberries, you are mistaken. I call those styroberries, after Styrofoam. 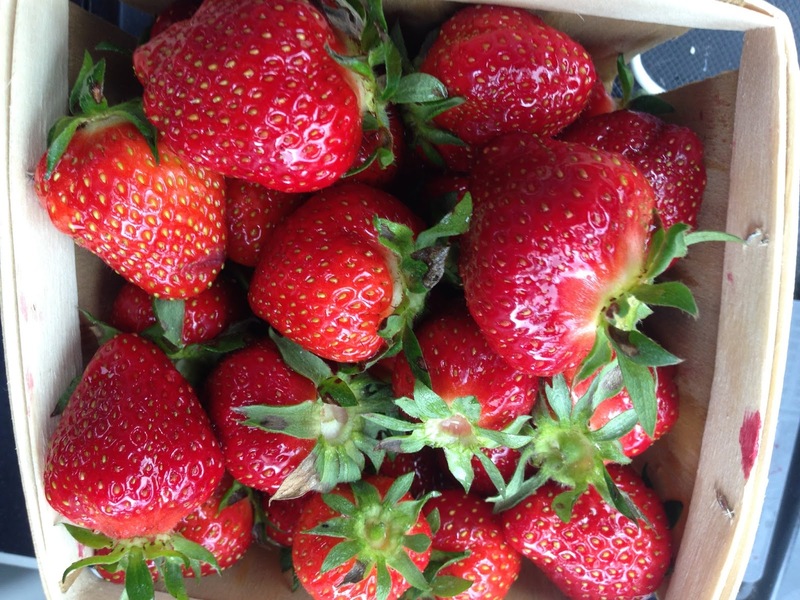 Hit up any local farmers markets in the area today or tomorrow and you are sure to see local strawberries. Sturges Orchard will be in the Strip District basically all day on 18th between Smallman and Penn. Many, many of the markets are opening tomorrow. What a great way to start! Fresh strawberries! Bloomfield and Shadyside (grand opening!) are in the morning and Lawrenceville will take place in the afternoon. See the links on the side (especially the first one) for other farmers markets. If you have a farm market in your area, they probably have strawberries ready. If you live near Harvest Valley Farms Market, Kaelins, Eichners, Shenot, Schramm’s, Sturges Orchard, etc., try giving them a call to see if they have strawberries and they most likely do. The East End Coop tweeted about having strawberries earlier today ( you should probably call to check, though: 412-242-3598). Another option is to pick your own strawberries. Picking your own strawberries is not for the faint of heart. You need to get way down. I usually try to kneel in the straw and the mud and so I wear long pants and sneakers. Then you need to turn the strawberry leaves over to look under them. You should look closely at the strawberries to see if they are rotting or insect eaten before you place them in your container and that sometimes involves touching something surprisingly mushy. Amidst the strawberries you will often find very thorny and painful weeds (nettles? I’m not sure) that will poke through your pants and gouge your hands. It will be hot. There will be bugs flying all around you. My children usually could only handle it for about ½ hour. But in return, you end up with the freshest, most delicious strawberries you could imagine. And, it is more economical to pick your own. When you pick your own, choose only red strawberries with no white or green on them. They will not ripen any more after they are picked. I usually pick ones that let go of their stems easily. You also should pick them with their little leaf hats on, which will keep them fresher for longer. When you are picking them, try not to pile them on top of each other too heavily or they will crush each other. Don't leave them in the hot sun. Do not wash them until you intend to eat them. They will only stay good for a few days, so keep that in mind when you are thinking about how much you should pick. They taste best the day they are picked. Of course you can always freeze them or preserve them. I will be writing another post soon about what to do with the strawberries once you get them home. 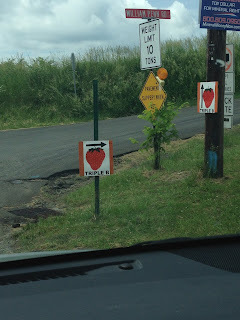 My favorite place to go of those places I have been is Triple B Farms out in Monogahela, PA, 724-258-3557. It is really far from my home, and has been made even farther by a road closure (Bunola River Road) but it is worth it because strawberries are only in season for about three - four weeks and that comes once a year. If you live nearby and are not into picking your own they sell picked strawberries in their market in a range of sizes (the containers, not the strawberries). Each box I picked (I think they are peck size) came to about $13.75, FYI, but to buy a box already picked, it costs $17.99. A peck is about eight quarts. The strawberries at Trible B are $2.59 a pound. They are open 9-2 for pick your own and they take cash and credit and debit cards. You have to pay .25 for the peck boxes, but you can bring your own containers instead if you wish. The view from the wagon that I rode up to the strawberry field. 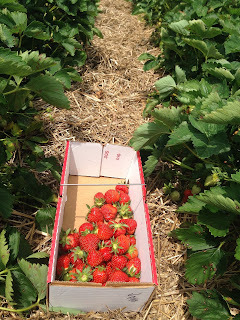 Yesterday I went strawberry picking at Triple B. I road up to the field on the wagon (pulled by a tractor) with my four big boxes. I had a reusable grocery sack for each of the boxes so that I could easily carry more than two. For some of the time I was the only one picking. Others came and went, but not too many people were there. There were lots and lots of berries and I could tell that there were many more ripening. I listened to young children enter the field enthusiastically and then leave whining and complaining, taking me back to the good old days when I used to bring my children along. Triple B is a great place to bring children, though, because they have goats and things to climb on and a store full of treats like fudge and soda to use as bribes. There are porta potties with a porta sink out by the parking lot. They have always been clean when I have used them. Triple B is having a strawberry festival this weekend and next which features strawberry pancakes for breakfast, a farm lunch, hayrides, and face painting. You can also pay $5.00 and gain entrance to their slides and other activities. The size of the box I used. It's probably a peck. There are lots of farms around here where you can pick strawberries and they almost all have strawberries available to pick right now! Just in case you were thinking about picking at Reilly’s Summer Seat Farm, remember that it is now closed. Boo hoo. They were always my second choice for picking. I’m going to try not to feel too guilty about that. Duda’s Farm on Creek Road in Brownsville, open 8-6 Monday through Sunday. 724-246-7601. Strawberries there are $2.49 a pound. They provide bag-lined buckets you can use to pick for no fee. They just give you the strawberry-filled bag and keep the bucket. They have porta potties that can be used but no kid activities. They sell already picked strawberries and take credit, debit, and cash -- no checks. Pascorz Berry Farm in Russelton, open 9-2 Saturday and Sunday, but call to check on availability and hours for after that at 724-265-3073. Strawberries are $2.29 a pound. They have containers you can use, a bathroom, no other activities. They sell already picked berries and take checks and cash only. Simmons Farm in McMurray, open Sat. 9-12, Monday and Wednesday 9-12 and 5-8. Call for availability next week: 724-941-1490. Strawberries are $3.00 a pound and you need to purchase a minimum of two pounds. They have containers you can use; they have a bathroom in their market and a petting zoo outside of the market. They sell already picked berries in their market and they take cash, checks, debit, and credit. If you pick at Simmons, you will most likely drive up to the strawberry field to do the picking and you can pay up there. All of the other attractions are down at or near their market. Snyder’s Farm in Chicora. They are open 9-8 during the week, 9-5 on Saturday and 12-5 on Sunday. 724-445-3116. Strawberries are $2.35 per pound. Already picked strawberries can be purchased for $4.75 a quart. You need to bring your own containers. They have a porta potty, no "extra" activities and take cash or check. Soergel’s in Wexford. 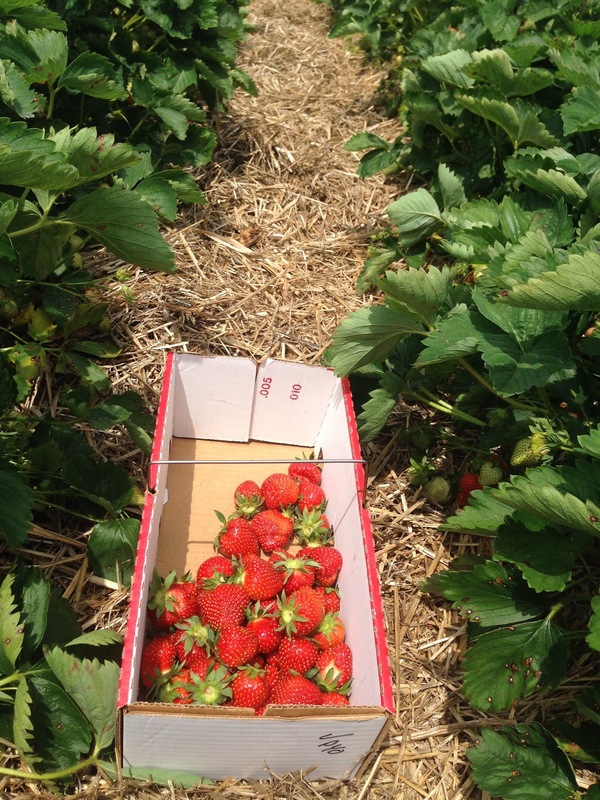 They are not open for strawberry picking yet, but they will be open for pick your own on Friday, June 10th around 4:00 (which is the start of their strawberry festival). 724-935-1743. The price per pound is not yet available. You can buy containers there -- pints for .25 and quarts for .50. They have bathrooms, lots of activities, sell pre-picked strawberries ($5.99 a quart) and take cash, credit, debit, and checks. They will be having a strawberry festival next Friday, June 10th, from 4:00 - 8:00 pm. Trax Farm in Finleyville. They are open 8-12 tomorrow (Saturday, June 4) but do not know their hours for future dates yet, so call 412-835-3246. Pick your own strawberries are $2.99 a pound. They provide baskets for picking. Already picked strawberries are sold in the store for $5.99 a quart. Bathrooms are available in the store. The store does not open until 9:00 AM, though. They have a playground. At the pick your own stand, they take cash and credit cards. In the store they take cash, credit, debit, and checks if you are registered. They will be having a strawberry festival next weekend - June 11th and 12th. Triple B in Monogahela. See above. 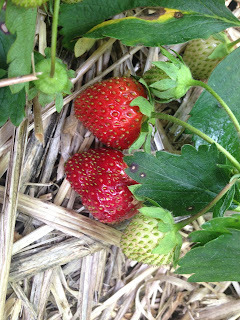 If you know of any other places to buy strawberries or pick your own strawberries, please add a comment!